I'm very proficient Virtual Assistant and have valuable experience in this field.I am highly professional with extensive skills in any type of data entry, data analysis,data collection, web research, virtual assistant and admin support work. 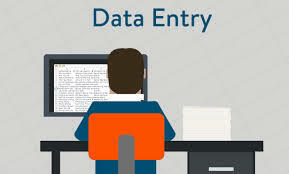 Services I Provide: Data Entry, Data Analysis, Excel Data Entry, Data Mining Data, Scraping Copy Paste Work, Data Entry E commerce Product Listing, Business Card Data Entry, Web Research Phone Number, Conversion PDF to Excel/Word ,JPEG to Excel/Word ,Scanned Pages to Excel/Word ,Email List Building from Business Directories Manually Typing Work to Excel or industries Details: Targeted industries or Business research and Collect Data or report to excel sheet.Service details and other required information's insert into excel sheet.Company Name, Address, Website, Company size, Business type, etc data report ready. Using Tools For Data: Google sheet and Excel.